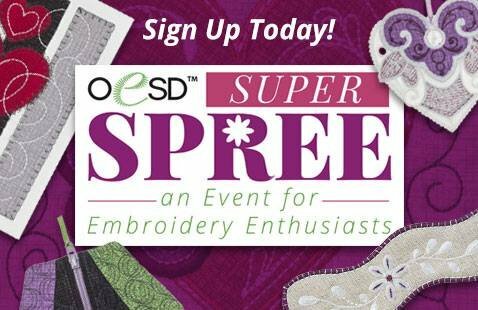 OESDâ€™s Super SPREE is a fun, hands-on event for embroidery enthusiasts of all skill levels. In this event, you will learn to make six different projects, plus youâ€™ll learn valuable embroidery tips and techniques to make your own projects more successful and less stressful! Gain embroidery inspiration as you view a wide variety of embroidery projects on display and learn how to choose the right products for most any type of project.